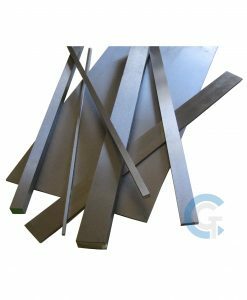 Gauge plate (aka ground flat stock) is a high quality tool steel that has been annealed to allow for greater ductility and workability as well as high hardness levels with minimal movement. We use precision grinding tools to ensure very close tolerances on both width and thickness dimensions, so you can be sure our gauge plate will meet your needs. This product offers great versatility for a wide range of engineering applications. Coventry Grinders offer a bespoke service as well as the off-the-shelf products available on our website, and pride ourselves on our fast turnaround time.